Fortunately, there are still no signs of spreading of the ”aggressive” herpes virus type 1, which has caused disease in some stables in Funen. We are still following the situation on the basis of information from veterinarians, laboratories and horse owners and we will release another update later this week. 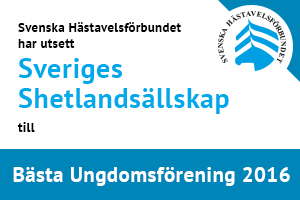 If no new cases of herpes virus type 1, relative to the individual stables in Funen, are detected before Thursday, May 17, 2018, the recommendation to avoid close stabeling at shows will be withdrawn..
Detta inlägg postades i Utställning den 2018-05-18 av Anette Wadman.